Recruitment just got effortless for internal HRs. Zoho Recruit values your time. It ensures that you streamline your entire recruiting process and increase efficiency of your HR departments. 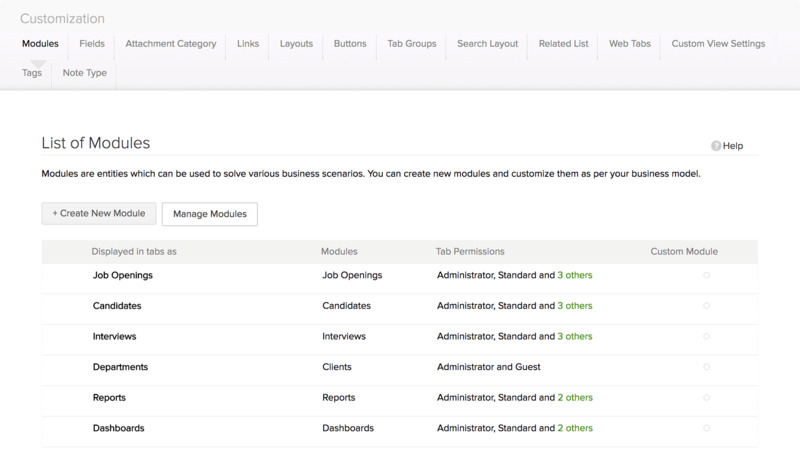 Automate sourcing, tracking, hiring and setup your team to interact and collaborate. But this is just default. Make Zoho Recruit work your way. 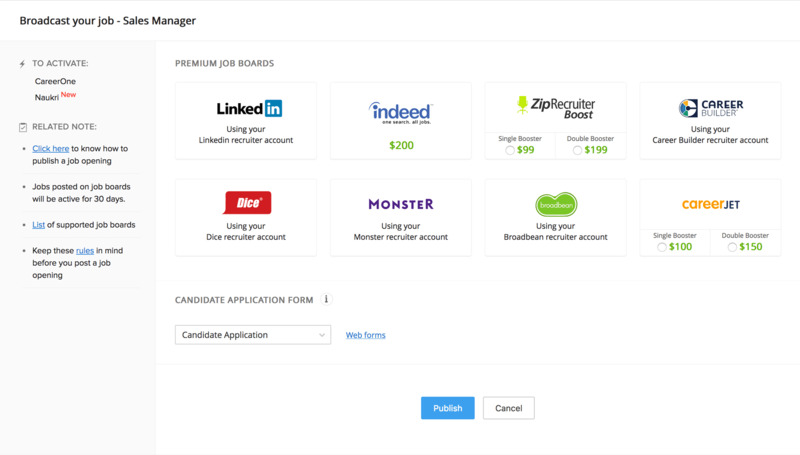 Cast a wider net by publishing job openings across multiple popular job boards, social media sites from within Zoho Recruit. And direct sourcing, makes reaching talent even more easier. 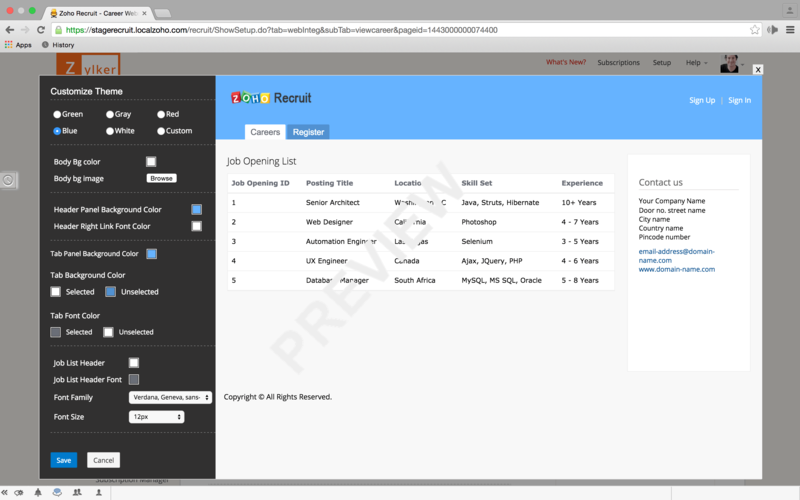 Allow candidates to apply for job openings from your company's careers website. Customise the page to be in sync with your organization's theme. Managing resumes is a task that needs continuous monitoring. 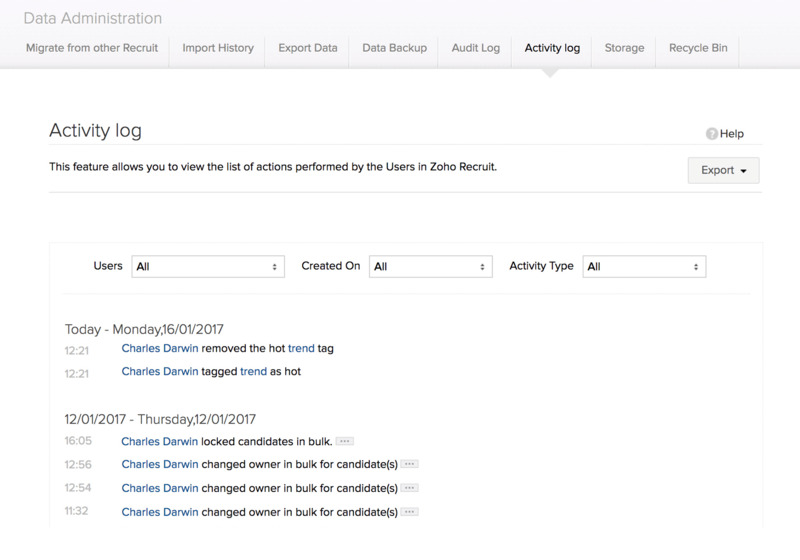 With Zoho Recruit, internal HRs can populate resumes from different sources and track a candidate's progress more efficiently. Zoho Recruit can be made to work as per your business requirements. Add custom fields, custom status, custom buttons and now the all new and advanced custom functions. 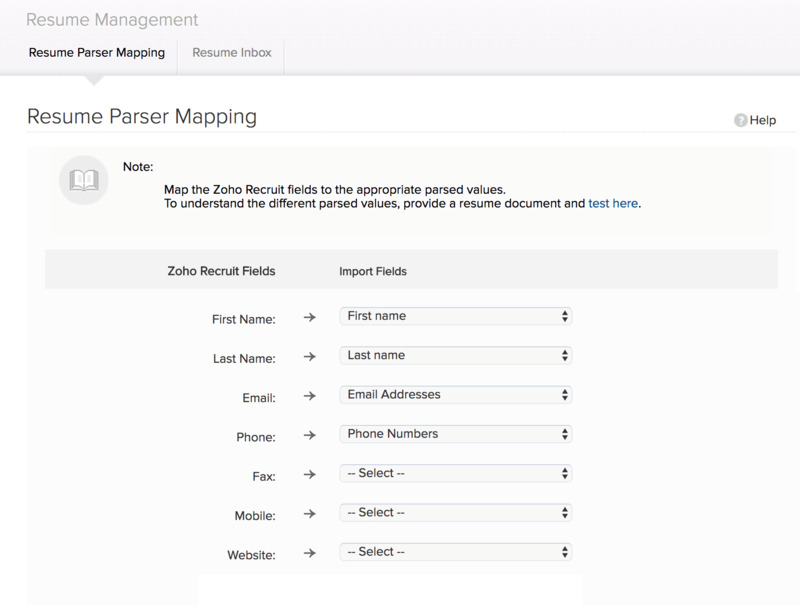 Get all your emails inside Zoho Recruit and also parse its attachments automatically. 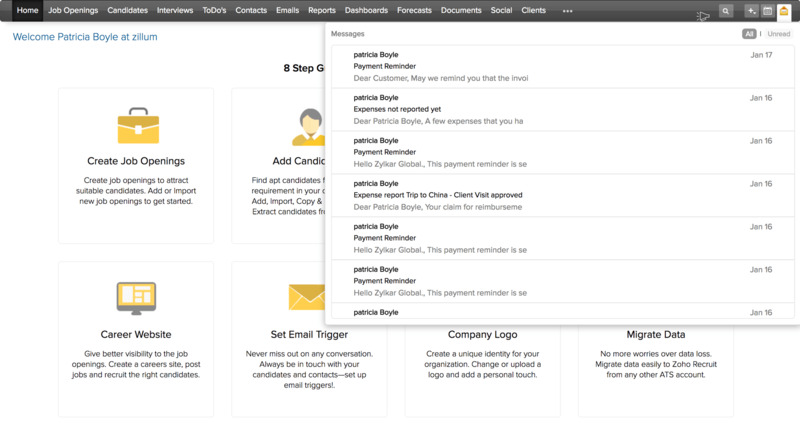 No more downloading resumes from your business email accounts. A quick view of all the activities concerning a certain candidate profile, interview or job opening will be available to make quick decisions.